I have to say that I completely love my camera carrier, and changing purses is super easy! My carrier fits in all my purses, in some tighter than others, so when I need to carry more than just my camera I simply choose a bigger handbag, works beautifully! HowJoyful blog is a participant in the Amazon Services LLC Associates Program, an affiliate advertising program designed for sites to earn advertising fees by linking to Amazon products. The prices are the same to you, but I will receive a small commission that supports my blog if you use my links. For more information, see my full disclosure page. So now to the materials and instructions, because you should make one for you too! About 20″ long piece of Velcro, cut in pieces of 4″ long. 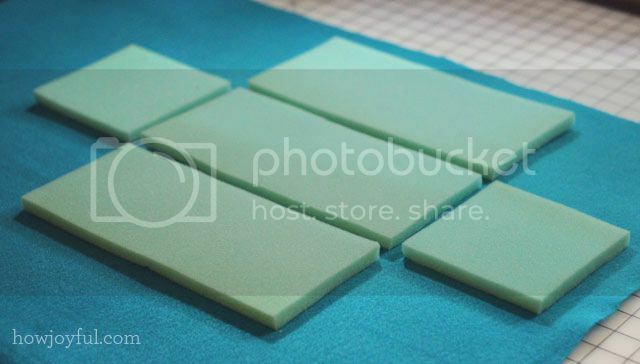 You will need to cut 2 pieces of 5×12″ of felt. The fold it 3 inches from the bottom. Mark the center and also mark a 45-degree angle like the picture shows. Repeat that on all 4 corners, turn inside out, place rope inside and pin to topstitch. 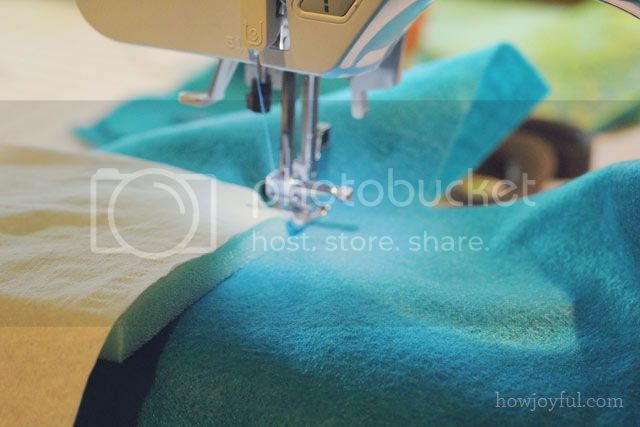 Topstitch both sides and your handle is ready! E- Now it's time to sew the foam to the inside felt piece (because we like a clean outside) so pin it in the center, remember that you will be placing the foam on the wrong side of your inside piece, and in order to sew on top of the foam I used tissues that I pin on top of the foam, that way your feet will not get caught by the foam. F- After you are done sewing you will have to carefully rip the tissues off, I had some little pieces stay, but I didn't care because that will be covered by the outside fabric anyways. H- Now we need to make a sandwich with our pieces to start closing up. First, we need to place our inside body piece and on top of it the handles, make sure you pin them right in the center and leave about 1/4″ to the outside. 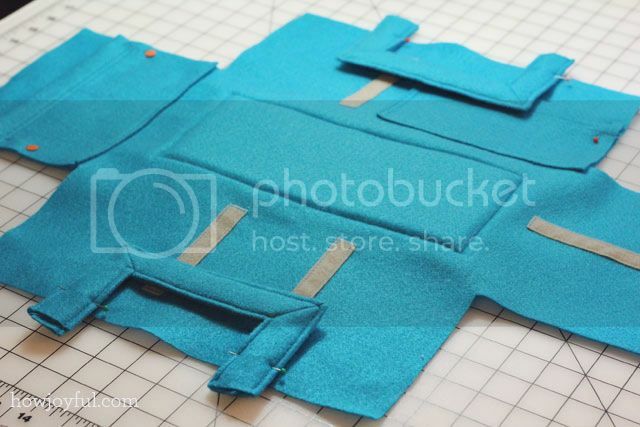 I- Next up is our outside body piece, in the case you are planning on adding an outside canvas piece for the outside you need to place it before the felt with the wrong side facing up. after that place the felt piece and shown in the picture. K- Turn inside out your body main piece and it should look like mine =] topstitch all the top edges and reinforce the handles by passing more than once over them. 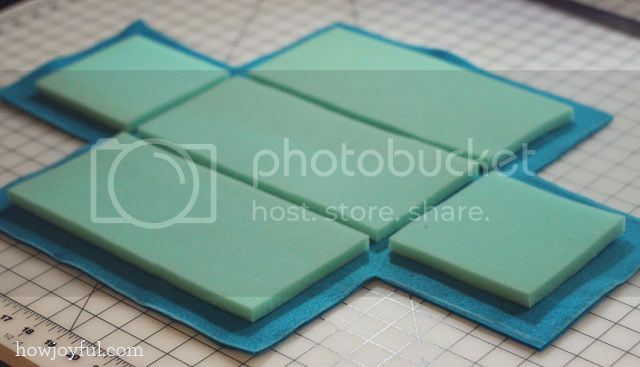 L- Now we can insert the 4 pieces of foam where they are supposed to be and pin really close to the foam so that you can put the sides together more comfortably. O- Silly me forgot to take pictures of the insert, but below you will see a graphic of the pieces you will need and I will describe the process below. 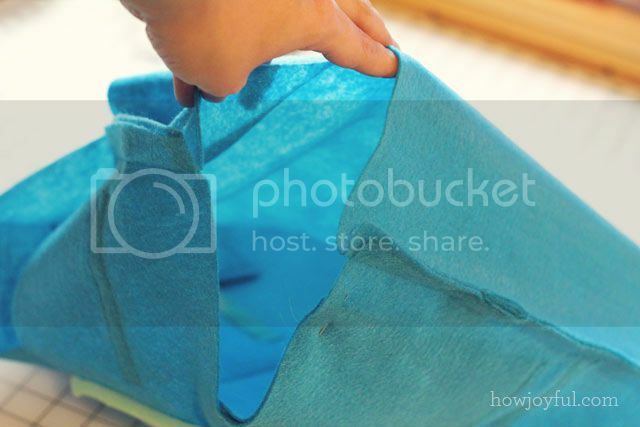 B- After that, you will need to cut 2 layers of felt (the outside and the inside of your carrier) plus the outside fabric if you decide to reinforce the outside. To do so I placed all my foam pieces 1/2 an inch apart and traced, then added 1 inch on the outside like shown in the picture. And there you go! 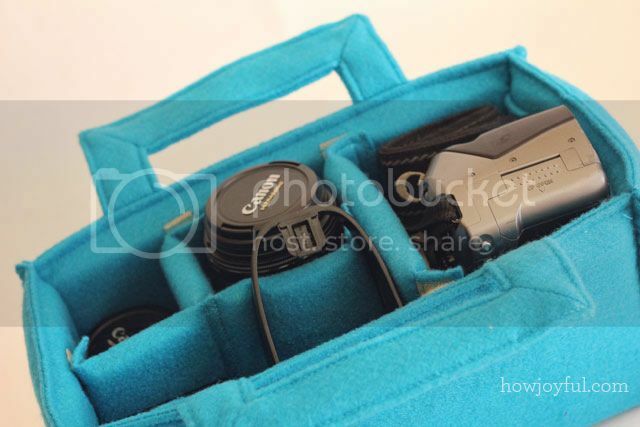 your camera can be protected and carried more comfortably everywhere! I hope you guys enjoyed this tutorial, I know a lot of people were anxiously waiting for it! Sorry it took me so long, but that's what I get for having such bad morning sickness hehe =] Now I have to work on finishing the Mr. and Mrs Joyful ducks, hopefully that one will be ready in the next couple of weeks. * This tutorial is provided for personal use only. 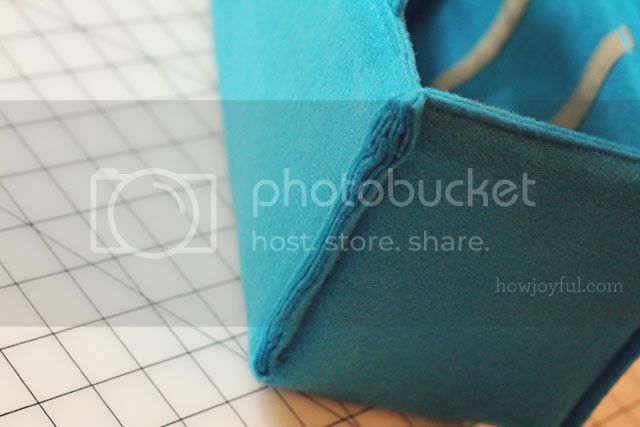 If you wish to sell items made with this tutorial please purchase a limited production license. Wow!! The carrier looks fabulous! What a great idea, too. It’s sooo much work to put together a detailed tutorial – thank you. I’m pinning this now so I can try it when I get a little extra time. You are very welcome Diane, it does take time to make things detailes but I think its worth it =] Thank you! This is perfect. Thank you SO much!! Love this! 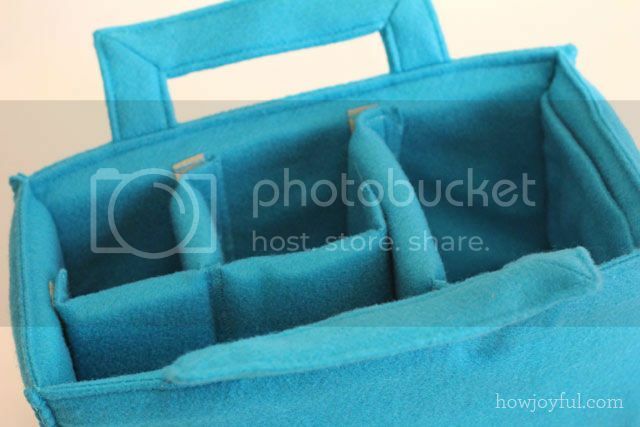 I don’t carry a camera with me, but it has given me a great idea on a purse organizer. I tried to make one last year using plastic canvas as the support. This is much better! this is EXACTLY what I’ve been looking for!! thank you so much, you brilliant woman!!! what a great tutorial! thanks for sharing! I was so excited to find this tutorial! 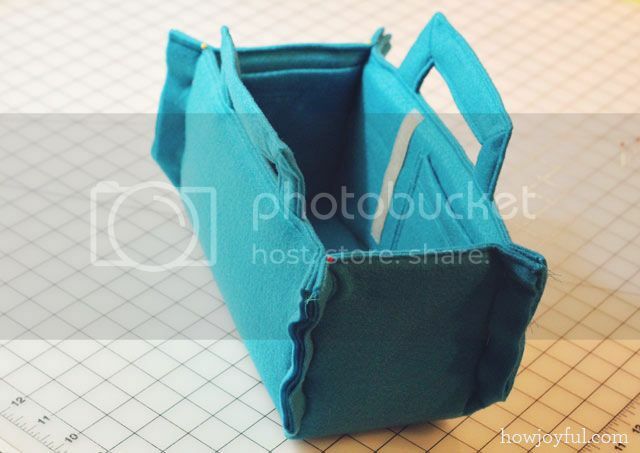 (thanks to pinterest) I’ve been searching for a long time for something like this that and I gave up thinking maybe I could try to make my own, I like the option to switch bags too. Now thanks to you that will be much easier. Great tutorial and details, you’re the best! I was waiting for this tutorial and you really explained everything so awesomely!! Thank you so much for sharing it with all of us, you rock! Amazing tutorial! Thank you very much for sharing. Thanks. I bought a tote and wanted to buy an insert. After seeing this, I’ll make my own. Thanks for putting the tutorial together. I’ve seen a few people do this, but this was the BEST tutorial for it. Beautiful tutorial! The steps are so nicely outlined. Thank you! This might be a dumb question, but what are the dimensions when the carrier is finished? Thank you again! Ah that makes so much sense! (See it was a dumb question! ) Thank you so much! So very cool…thanks for the instructions! Now to find that “perfect” purse on sale/ebay (refuse to pay full-price at Sears). 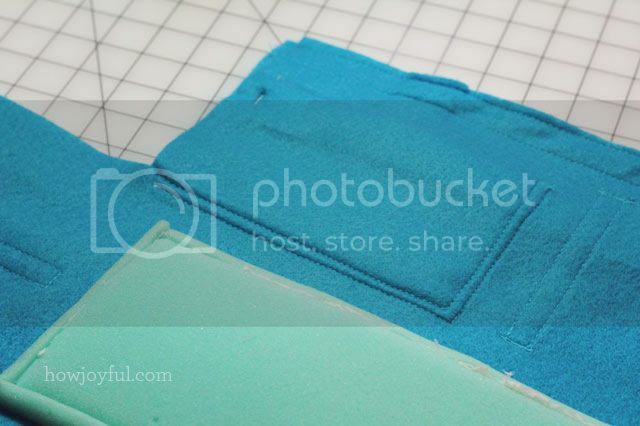 But I have a question…why did you choose felt rather than the typical nylon-type fabric used in traditional camera bags? Thanks! I actually wanted something very soft and I had a tons of this felt laying around, so not much of reason other than that. Have a lovely day! you make this tutorial look easy and do-able! you did an excellent job and i can’t wait to try it out myself!! Great idea! But I’m confused about the handles. How does step 3 become step 4? And 4 to 5? 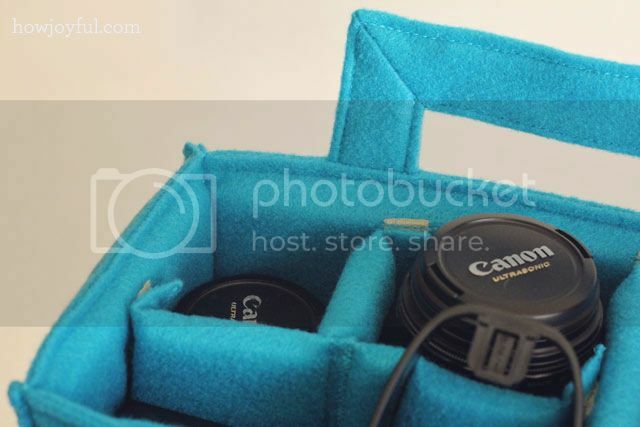 really great Idea, but camera gear would be little more secured if there were a zipper on top. You’ve inspired me! What a cool idea. I have two camera bags but this gives me lots of ideas. So often you just want to take a regular bag with all your other gear but mixing the camera up with it is not a good idea. On a ski trip recently I broke a UV filter because the camera was in a plain unpadded bag. I’ll have to hijack the wife’s machine… again! Last time it was for a file bag, the time before that it was a bag for my fishing gear. A question. 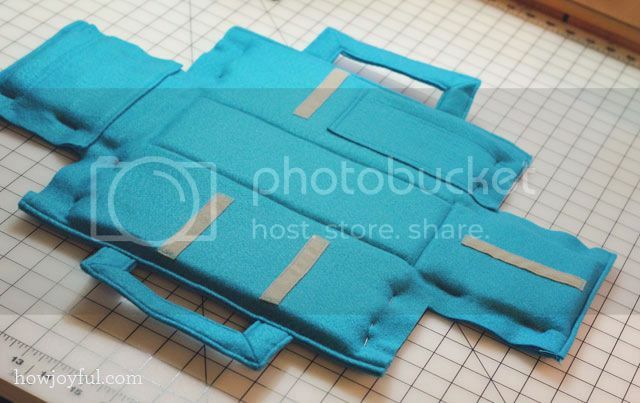 The last time I tried to sew Velcro it was too tough or thick and the tread kept breaking. Is there a special type I should buy? Or some special thread? Looks great! I am definitely going to have a go at this. When I am traveling light I use a beer coozy to store a spare lens in with my carry-on. Hi! 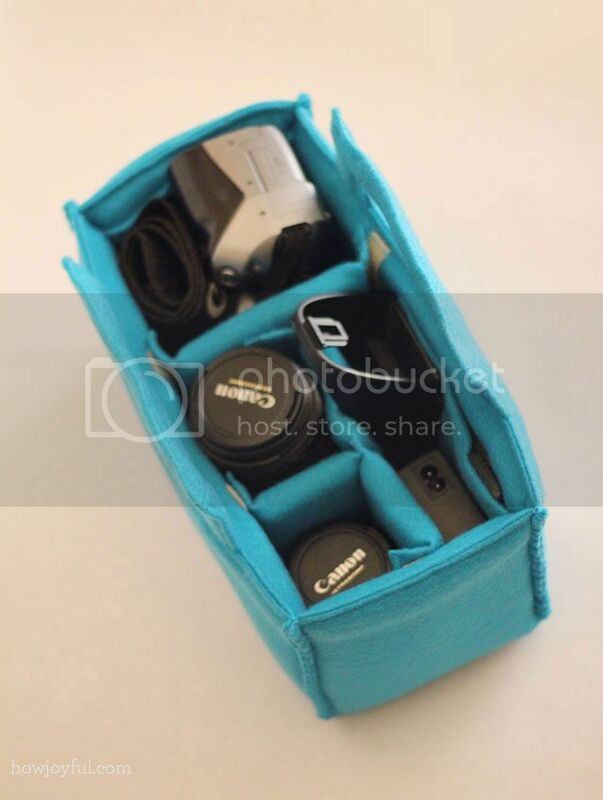 I just received my first DSLR and I was searching for a cute and handy bag when I found this.. Your project is simply wonderful! I just wanted to ask one thing: have you ever put inside it your camera with a lens on? Does it fit good? Awesome tutorial! 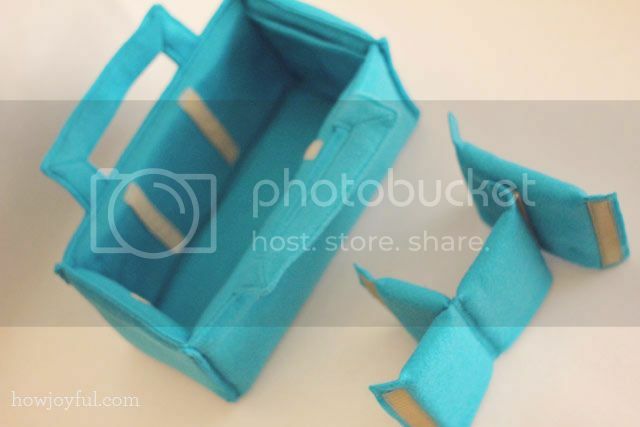 I made my own carrier, see pictures on my blog :). Mine didn’t turn out as neat as yours though, sewing the foam to the fleece was hard! Even with a walking foot and a Bernina! :-/ But I absolutely love the carriere, although it seems a bit small with the lens on the camera. Your tutorial was really good to follow, the only part I didn’t get were the (beautiful!) handles. Left me a bit clueless, haha :). Except you shouldn’t use polyurethane foam: it degrades with time, and while doing so it emits gases that can damage your glass. Use poliethylene foam instead (or any other stable foam). 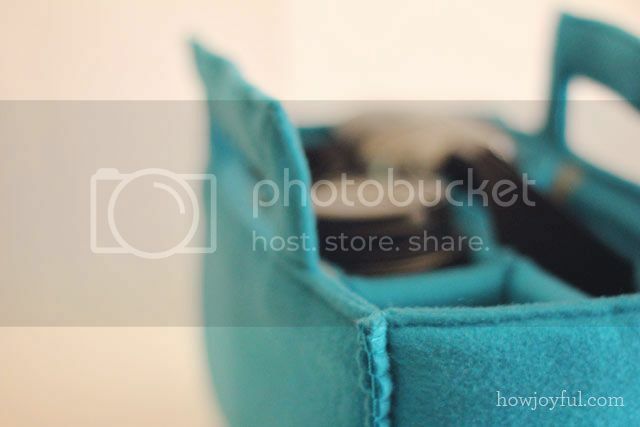 hahaha.. so easy.. so beautiful.. i’d rather love to put it’s cover and will use some solid more durable outer shell for my camera.. i just bought a camera a few days back.. and didn’t get it’s bag yet.. but this tutorial compels me to make my own. Thank you sister. btw.. can you please put some tutorial for the straps (neck strap for camera) and (hand strap as well).. I love this! I’m so impressed you just came up with this, and I like it so much more than my camera bag as is. But I’m wondering about felt or fleece being a little linty for my lenses. 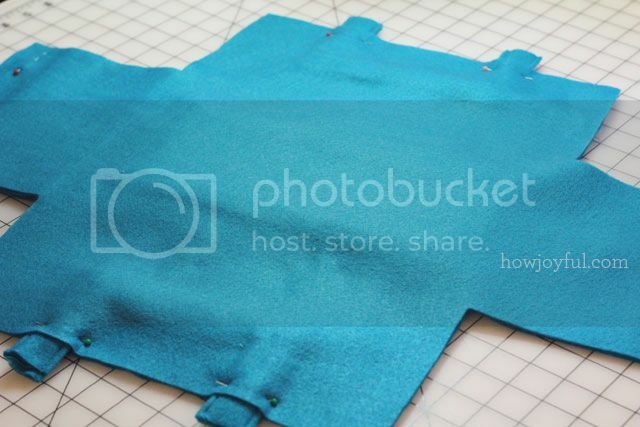 Might try it with a more camera friendly fabric? Or is this not a problem you’ve come across? Just hate the thought on lint trapped deep in a lens. Super excited to see this on pintrest, I have been wanting one of these! Thanks for tutorial, can’t wait to check out the rest of your blog!! You are a genius!!!! If I could sew I would make this! Of course, it would be better if I had a great camera. Thank you for your tutorial. I’m sure it has been a great benefit for many. Amazing! But could you clarify how the handles were made? I’m trying to make this now but that step has me stumped! I really appreciate you posting this. I just got my first nice camera, and this will ensure that it stays safe. This is AWESOME! I’m making art totes for my grandchildren and wondering how to make an adjustable insert for THE artist among them I googled and here you are! When you cut the fabric for the handle, cut 18 inches rather than 12. 12 inches does not work, but 18 is perfect. The handle section is a little tough to follow. Hola! Estaba buscando bolsos de cámaras en Amazon y me salió este diseño… lo encontré genial! De todas formas lo voy a intentar, cuando encuentre tiempo. Otra cosa, me parece aún mejor que seas Chilena! Sigo blogs de otras partes y nunca me he topado con una chilena. Me ha encantado tu blog! Sería genial si podemos seguir en contacto y quizás intercambiar ideas. Tengo un blog de hace un tiempo, pero recién ahora lo estoy intentando revivir. Veré que pasa. Un abrazo desde Viña. Saludos! Oh! que genial que me encontraste! no hay muchos chilenos en la blogosphere huh? que genial encontrar a otra compatriota, te envio un saludo grande! si me gustaria mucho estar en contacto, estas en Instagram? mucha suerte con tu blog! this is really helpful. I am planning to make few and sell them. thank you so much. I was wondering what the dimensions of this are. 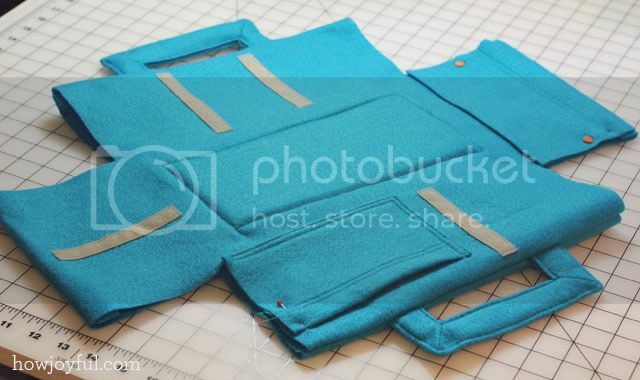 I want to make this, but I also plan to sew my own bag to place it in and I wasn’t sure what size bag to make. Thanks. Wow, so cute! 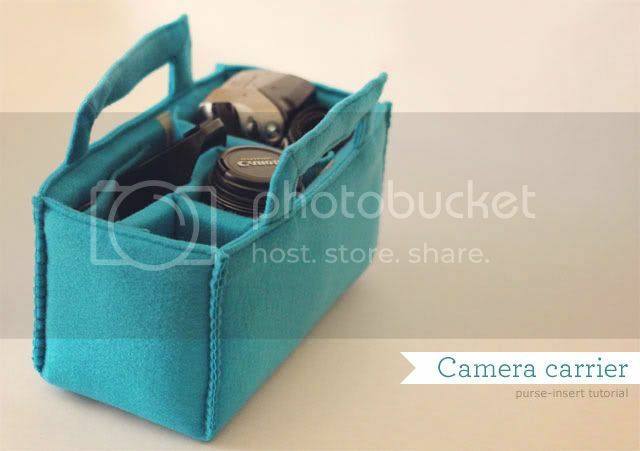 I definitely want to make this little bag for my camera since I find all standard camera bags so ugly and unpractical! I want to carry my camera with me most of the time and having it in this little carry on bag is just perfect. Thanks for sharing it! I found your blog through Pinterest, and first off, I have to say, I LOVE you header! Your blog has a great design! Second, this is a fabulous tutorial! Thank you for posting! I’ve made a few liners like these and I’ve learned that not all foams are created equal and some can be downright dangerous (to the camera). 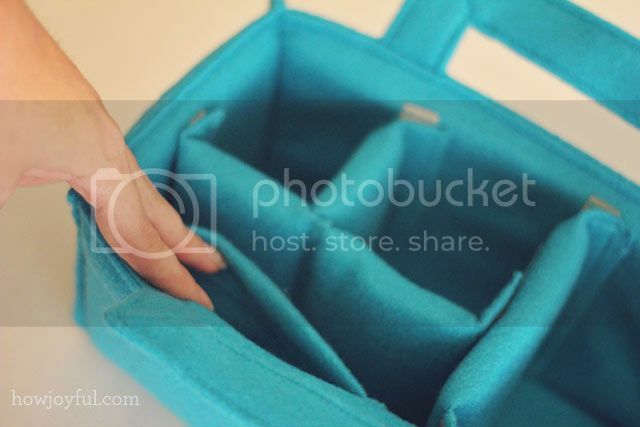 The ordinary cushion foam that they sell at the sewing store is great for seat cushions but not the best choice for camera bags. It’s too soft and compresses too easy to protect against a hard blow with a sharp hard object. That type of foam deteriorates rapidly and can vent gases that can be harmful to camera lenses. It also gives off a fine dust that can work through fabric… and it’s sticky dust! Get that dust on your camera sensor and it’ll take a trip to the repair shop to get it off. click on any image and then scroll to images # 17 and #12 and you’ll know exactly what kind of foam I’m talking about. Unfortunately, they require a minimum $200 order. This kind of foam comes in wide range of firmness and density, so trying to find the right stuff online is a challenge. I really wanted to pinch it to make sure I was getting the right firmness and rigidity. I shopped around all the arts and craft and packaging stores but could not find it. 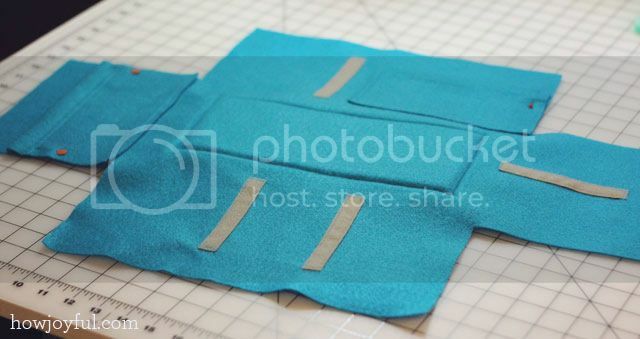 Then I found a sleeping bag matte at Walmart for about $8, made of the material I was looking for. 3×6 ft in size so you can line quite a few bags. I made linings and dividers for two handbags and converted a cheap backpack into a camera backpack out of one camping matte. There are different kinds of mattes at Walmart , not all are polyethylene, so look the product up to make sure it’s polyethylene and not polyurethane or some thing else. I’ve also made customized inserts for regular handbag stuff. The standard handbag design is woefully inadequate so I’ve made inserts with special pockets for all the things that tend to get jumbled at the bottom of the bag. Now everything has its proper place. 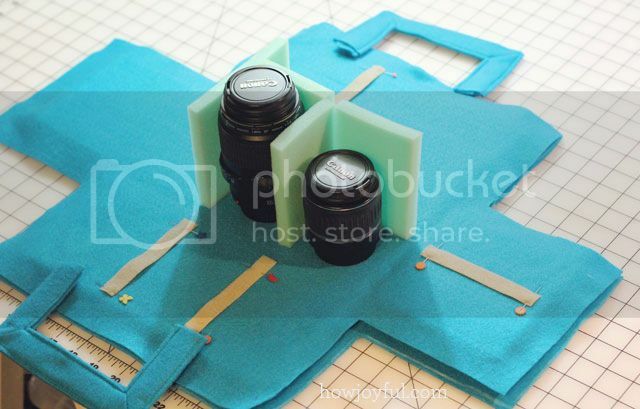 Thank you for the lovely tutorial – I am going to use your pattern as a guide to make a bag for my camera, which is a different size, and seeing how you have everything laid out is so helpful. Thanks! Wonderful! I think this is exactly what I need, it only seems very dificult to me. Thanks so much for posting this tutorial! Because of it I was inspired to pick up a $20 pleather hobo bag from Walmart and with less than $5 of 1/2″ padding and some scraps of fabric I had around from a quilt I’d made last year I now have a stunning new handbag that I can’t wait to use at my next shoot. Wow, this is a great idea! Thank you for sharing! Your tutorial inspired me to make such a bag insert myself. 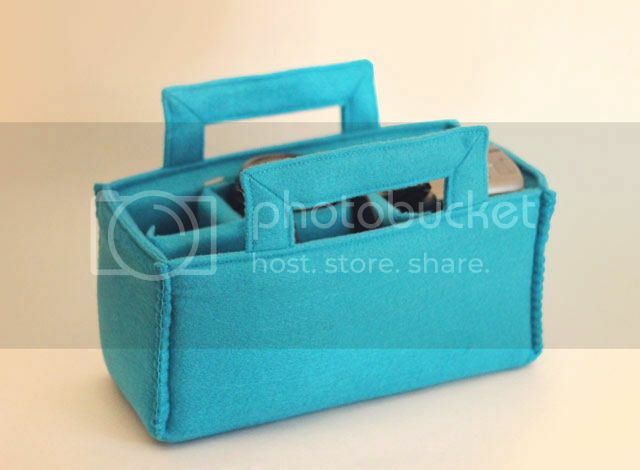 As my sewing skills are pretty limited my carrier does not look as pretty and professional as yours…..but it does the job. Thank you so much! Greetings from Amsterdam, the Netherlands.